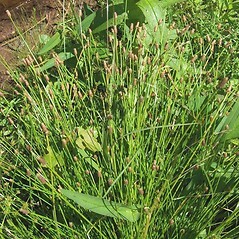 Engelmann's spikesedge is found on pond shores, temporary pools and wet, sandy/muddy/peaty areas in Connecticut, Massachusetts, Maine and Rhode Island. There are two varieties in New England. 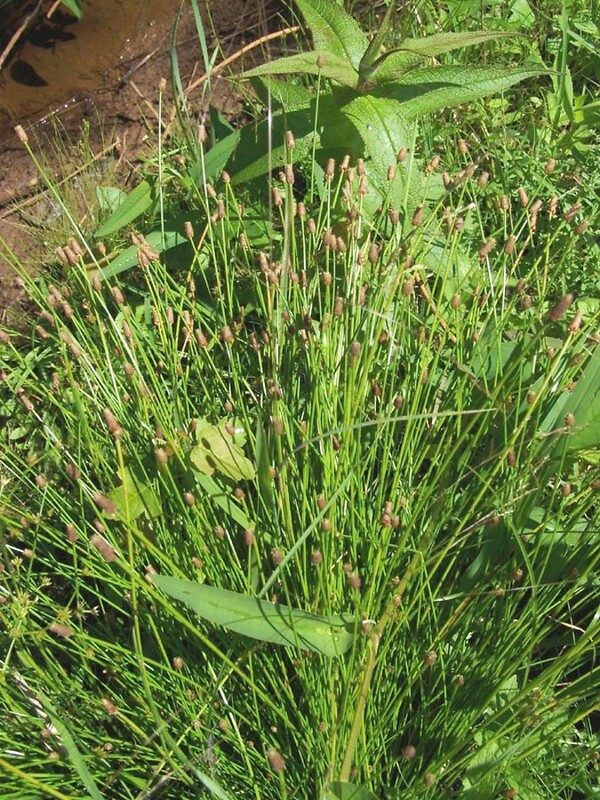 Eleocharis engelmannii var. engelmannii occurs in Connecticut, Massachusetts, Maine and Rhode Island, whereas E. engelmannii var. detonsa is known only from Massachusetts and Maine (where it may have been extirpated). Engelmann’s spikerush can be distinguished from other species by its bent tubercle that is not constricted at the base, fibrous roots, a narrow-cylindric spike, and very short perianth bristles. tubercles 0.2-0.4 mm tall, styles usually trifid, and perianth bristles usually exceeding the tubercle (vs. E. engelmannii, with tubercles 0.12-0.23 mm tall, styles usually bifid, and perianth bristles usually not exceeding the tubercle). Variety engelmannii is known from CT, MA, ME, RI. Variety detonsa is known from MA, ME. 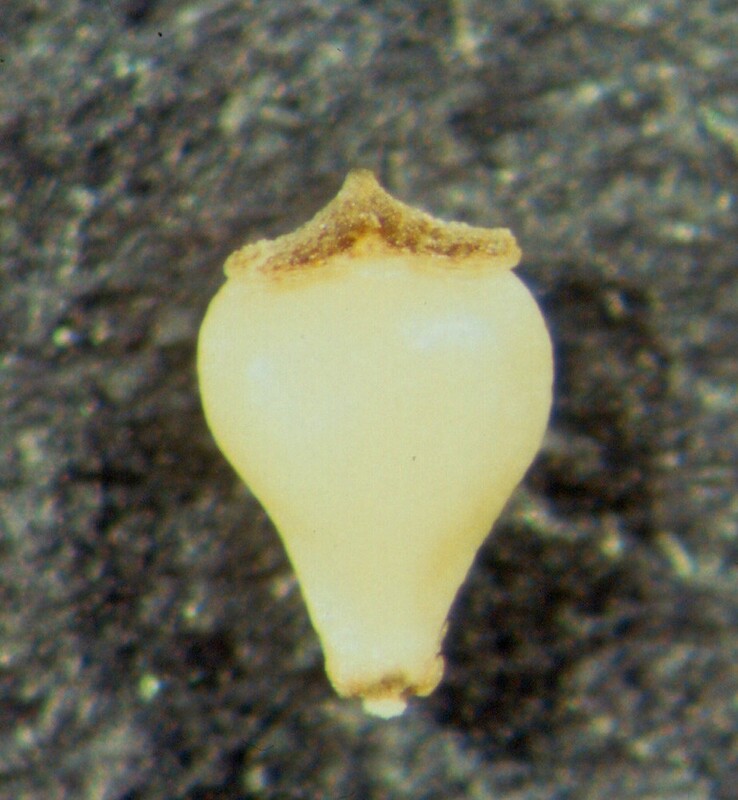 Engelmann’s spikesedge. 7a. 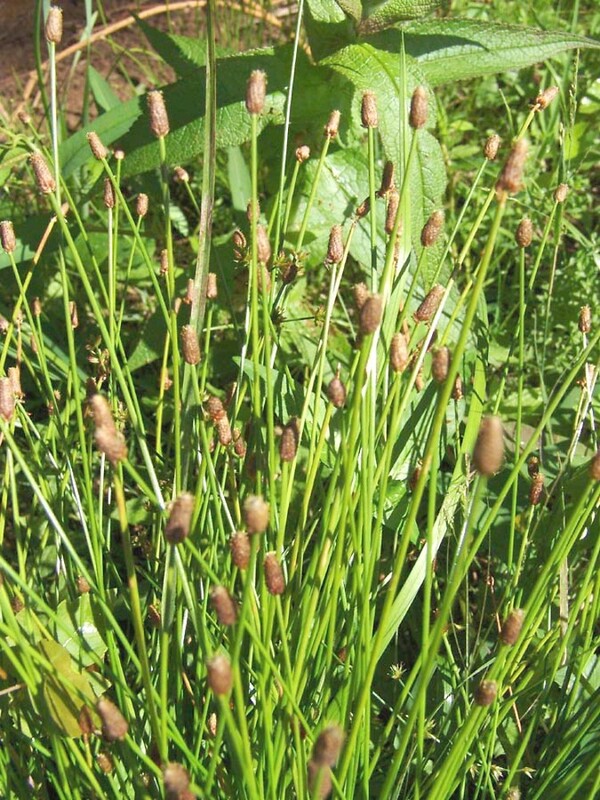 Eleocharis monticola Fern. var. leviseta Fern. ; E. obtusa (Willd.) J.A. Schultes var. detonsa (Gray) Drapalick & Mohlenbrock; 7b. 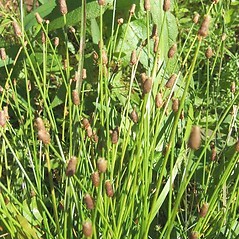 Eleocharis monticola Fern. ; E. obtusa (Willd.) J.A. Schultes var. engelmannii (Steud.) Britt. • CT, MA, ME, RI; also reported from NH by Smith et al. (2002), but specimens are unknown. Pond shores, temporary pools, and open, disturbed, hydric soils. 1a. Perianth bristles lacking or, if present, numbering 2–4, smooth, and shorter than the length of the achene body … 7a. E. engelmannii var. detonsa Gray in H. Patters.